At Churchill Estates we offer senior adults the opportunity to experience a homelike culture that exceeds the diverse and evolving lifestyle of today's active seniors. At Churchill Estates we offer senior adults the opportunity to experience a homelike culture that exceeds the diverse and evolving lifestyle of today's active seniors. 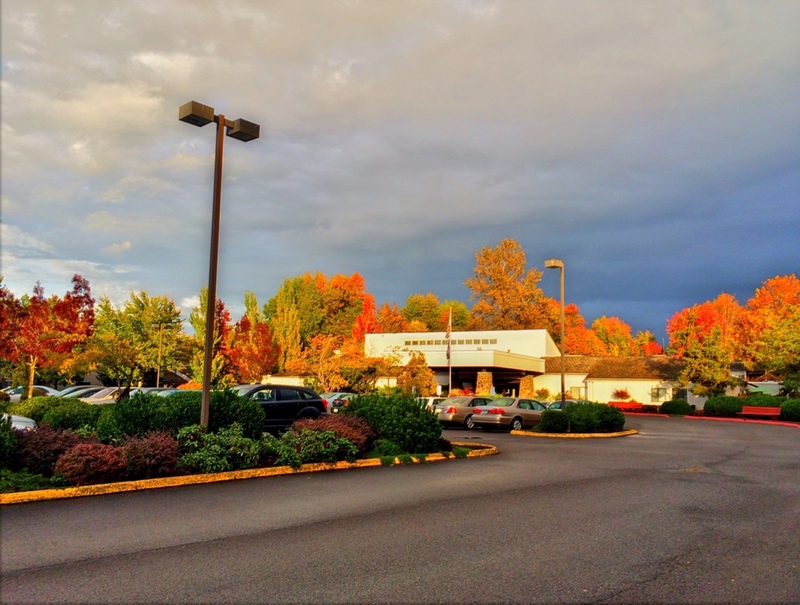 Located in West Eugene, Churchill Estates is close to area shopping, beautiful scenic drives, and on major bus routes for easy public transportation to the downtown station. 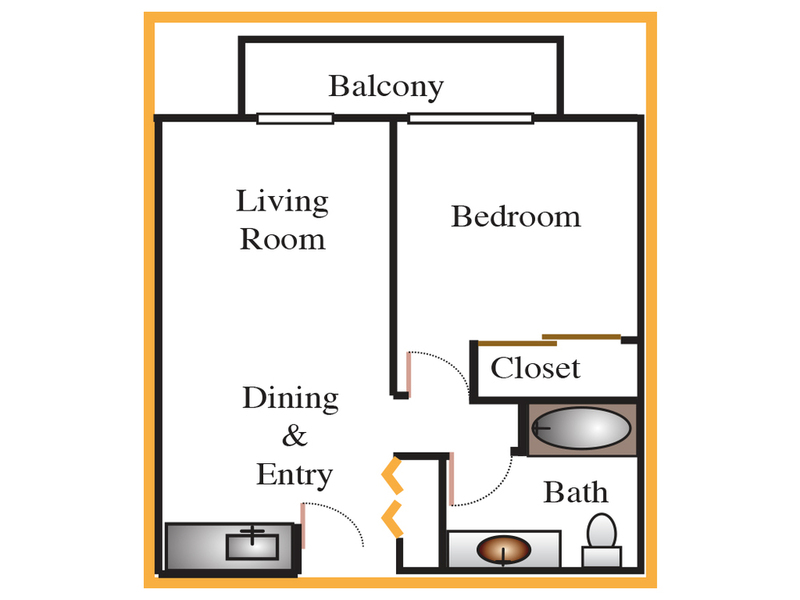 We offer a variety of floor plans such as studio, alcove and one or two-bedroom apartments. For those who still enjoy cooking we have full kitchens available. If you no longer wish to make your own meals, our dining room provides three nutritious meals per day. Our Apartments are rented on a month-to-month basis without the hassle of a large buy in fee. Our commitment is to support you as an individual for your independence and freedom as well as for your comfort and security. Enjoy three delicious and nutritious meals served daily in our spacious dining room. We now offer vegetarian entree options, as well as our popular salad bar which is available for lunch and dinner. A service that is provided weekly. Housekeeping staff will clean, vacuum, do light dusting and change and clean your linens and bath towels. We provide transportation services to medical appointments on Tuesday and Thursdays, weekly shopping trips, and scheduled sightseeing and amusement excursions. For your security and added peace of mind, we have security cameras, easy to operate intercom systems and emergency call systems, which are located in each apartment. With the touch of a button, you are in immediate contact with our staff at any time, day or night. Fire Alarm and Sprinkler systems with 24 hour monitoring included as well. Staff work full-time planning and orchestrating fun activities that cater to the interests of our residents. We offer secure mailboxes for each resident, conveniently located indoors. We provide units in each room to give residents individual control to ensure their own comfort. We provide two laundry rooms (one on each floor) equipped with machines that are free to our residents for their personal use. Which includes all your local channels, and other favorite channels such as CNN, Fox News, MSNBC, ESPN, Lifetime, Pac 12 Network, Fox Sports 1, QVC, The Golf Channel and many more. Local calls are complimentary, long distance calls are 10 cents a minute.